1 - I ran across this project on Pinterest. It's prettier than pretty. I love everything about this space. Click here to see this project by Tracey, the Porch Daydreamer. 2 - I might actually enjoy laundry in some of these gorgeous laundry rooms. 3 - I would just like to say that my fiddle fig is doing pretty darn good. I think he's been with me now for four weeks. He has only dropped two leaves, and I feel certain he is about to sprout a new one any second. This article is full of fiddle fig inpsiration. 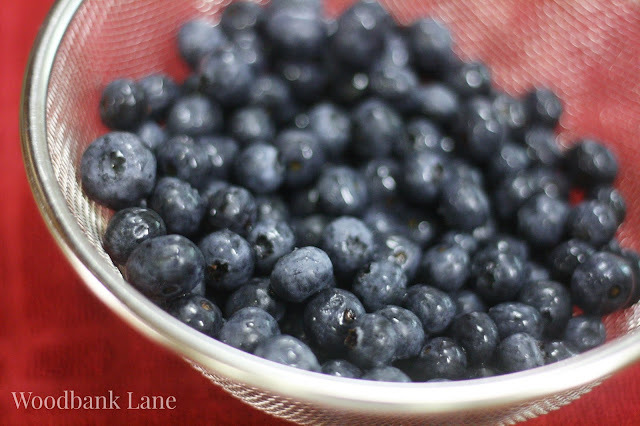 5 - And, just in case you weren't around in 2015 when WBL came to be, here's a link to one of my favorite summer recipes, just in time for all those blueberries everyone's picking.